Board/University/Institution from where you will be graduating. Estimated time to complete this process: 20-30 minutes. You would have received an email indicating your application number and password. You may login using the application number and password. You may login using the application number (given at the top of the voucher) as login id and Voucher No. (found under the scratch area at the top of the voucher) as password. On entering a valid login ID and password you will be taken to the next section, which is “Change your password”. On entering and saving a valid password you will be taken to the login page once again. In this section, you will enter your contact details, program information and past academic record details. On clicking “Proceed” you will view the complete data you have keyed in. In case you wish to make any changes you have to click on the “Back” button else if you wish to proceed with submitting the data you have to click “Submit” button. Board: Enter the name of the board. Marks (%): Indicate your aggregate marks percentage, rounded off to the nearest digit. The decimals from 0.5 and above have to be rounded off to the next higher number. Example:A percentage of 81.01 to 81.49 should be indicated as 81 and a percentage of 81.50 should be indicated as 82. Medium:Indicate your medium of instruction from the drop down list. Mode of study: Indicate whether you have studied full time, part time or in distance mode. Title: Select the title from the drop down list. If the title is not available in the drop down list, please select “other”option in the list and enter the title in the space provided. Duration: Select the duration of program in terms of number of years from the drop down list. If completed: Indicate the year in which you have passed the final year of the examination. If studying: If you are in the final year of the program indicate the likely year of completion of the program. If completed: If you have completed your program, enter the percentage of aggregate marks in the box. If studying: If you are in the final year of the program, enter the percentage of aggregate marks obtained for the years/semesters of the program completed till date. University Name: Enter the name of the University the college is affiliated to. College: Enter the name of the college. State: Enter the name of the state where the college is located. City: Enter the name of the city where the college is located. Title: Select the title from the drop down list. If the title is not available in the drop down list, please select “other”option in the list and provide the title in the space provided. Specialization : Select the specialization from the drop down list. University Name : Enter the name of the University the college is affiliated to. Duration : Select the duration of program in terms of number of years from the drop down list. Year of Passing (YOP) : Select the year of passing from the drop down list. Marks (%) : Indicate your aggregate marks percentage, rounded off to the nearest digit. The decimals from 0.5 and above have to be rounded off to the next higher number. Medium : Indicate your medium of instruction from the drop down list. Mode of study : Indicate whether you have studied full time, part time or in distance mode. Please specify how you wish to apply for the programs of IBS, through IBSAT 2017 or scores from 2015 onwards of GMAT®/CAT/NMAT by GMACTM. For PhD applicants : IBS Alumni/MPhil Degree holders/candidates qualified in UGC Net 2017 are exempted from IBSAT 2017. IBS campuses are located at Ahmedabad, Bengaluru, Gurgaon, Kolkata, Mumbai and Pune. They offer two-year, full-time Management Programs to prepare the students and equip them for successful corporate careers. These campuses are independent professional institutions and are neither affiliated to nor are off-campus centres of any university. IBS Dehradun is a constituent of the ICFAI University, Dehradun. ICFAI University,Dehradun is established through an Act of the State Legislature of Uttarakhand and is recognized by UGC under Section 2(f) of the UGC Act. 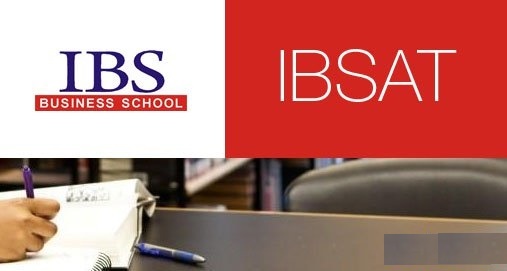 IBS Dehradun offers the MBA program. IBS Jaipur is a constituent of the ICFAI University, Jaipur. The ICFAI University, Jaipur has been notified by the Government of Rajasthan (Act No. 20 of 2011). IBS Jaipur offers the MBA program.